With the Kentucky Derby still fresh on everyone's minds it seemed only fitting to do a round up of prize ribbons. I kinda have a thing for them. I've made them as jewelry, put them on picture frames and as of late added them to my scrapbooks. Big or small prize ribbons are for more than just horses. 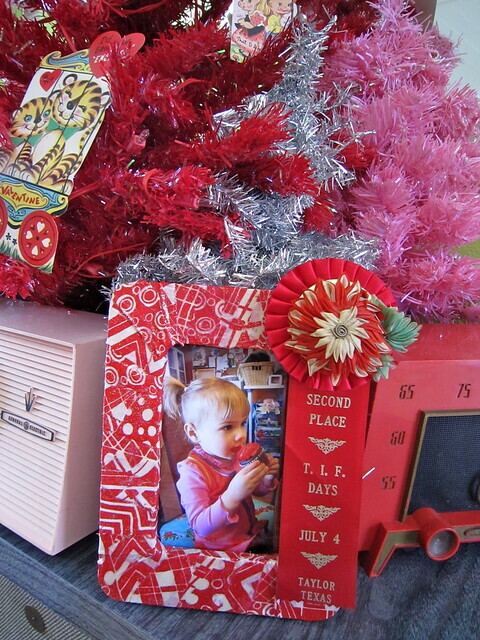 I love seasonal picture frames almost as much as prize ribbons so it only made sense to combine the two. I made this 2nd Place Valentine one for Valentine's Day, but you could make and add a ribbon to any frame for an extra fun embellishment. 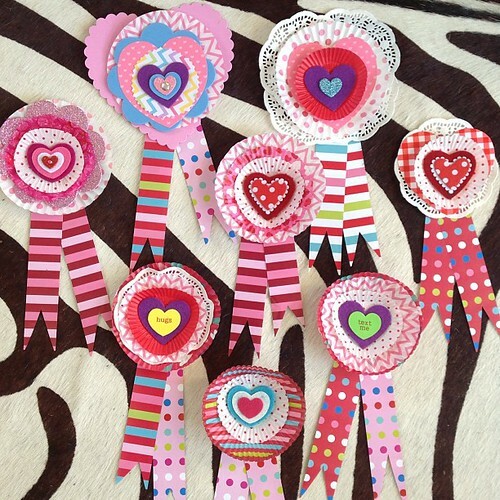 Speaking of Valentine's Day, my daughter and I made prize ribbons out of cupcake liners for her pre-school class. Nuthin' says this project has to just be for Valentine's. Some of my favorite prize ribbons of all time were this batch. 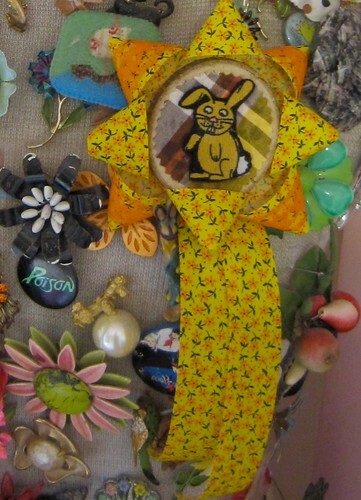 I used fabric scraps, vintage wooden pins, horse prize ribbons and Tacky Glue. Given, I never wore these brooches, but I still love them. 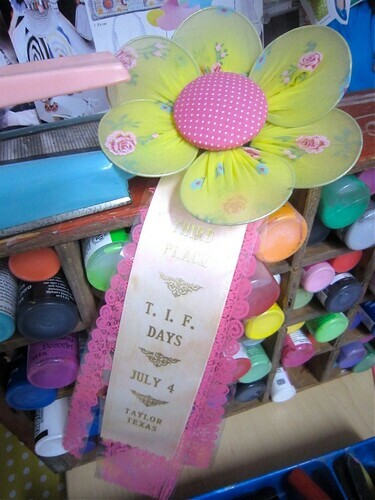 I went through a brief obsession with pantyhose crafts and whipped up this giant prize ribbon. I made petals out of wire which I wrapped in hose. The center is a fabric covered button. 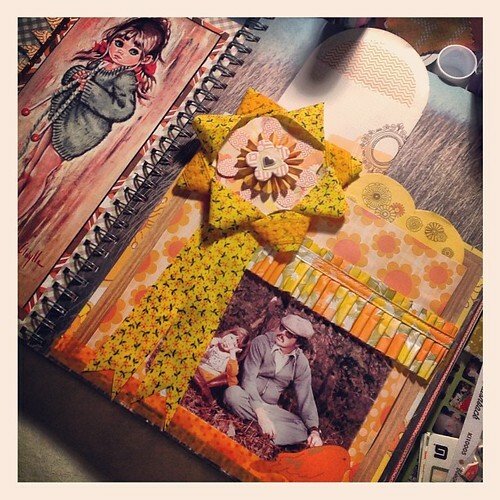 The strands are a vintage horseshoe ribbon and some Hambly scrapbooking overlay paper. Smashed the whole thing together with some Tacky Glue. I made Woody Woodland Wins First Prize as a brooch, but he has recently been tweaked and added to one of my Smashbooks. 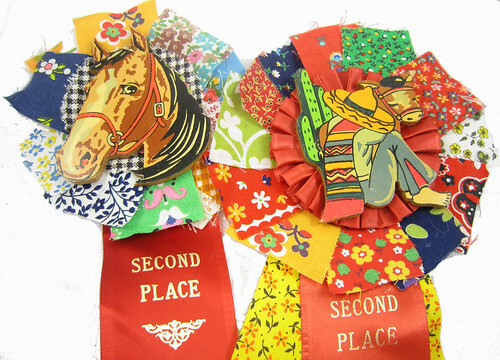 What do you use your prize ribbons for?